We don’t compromise a little on any safety issues. Our experienced guides and team leader understands your travel needs, health conditions and takes care of your every requirement. Either it be regarding proper acclimatization spots, hotel, tea houses hygiene, first aid medical treatment or calling air ambulance and rescue operations in emergency conditions; we would like to ensure you that you are 100% safe during the entire trip period. Established in the year 2005, we have nearly a decade of experience in organizing trekking, tour and holiday packages not only in Nepal but also in neighboring countries like Tibet, Bhutan and India. In these years we have not only organized the trips but also learned new things about how we can do it in better way and we are constantly striving towards providing best of services to our clients with our experience and widespread connections. 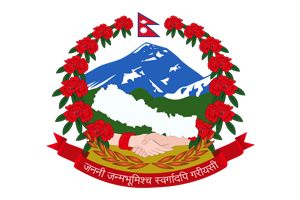 Before choosing any trekking company in Nepal, be sure that it is government registered. Beware and avoid the scams. 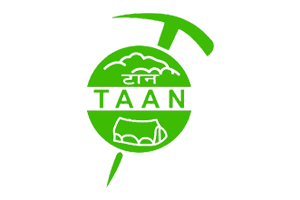 As far as we are concerned, we are legally registered trekking company along the affiliation with major government bodies like Nepal Tourism Board (NTB), Trekking Agencies Association of Nepal (TAAN), and Nepal Mountaineering Association (NMA) along other agencies. While transacting and advance booking with us, we always follow the secure means of transaction. Therefore feel safe that your money is invested in right place without any kind of risk whatsoever. Mountain tiger is not only business and profit oriented, but we are also responsible towards our society. We share certain percentage of our profits with NGO’s and related organizations so that we can help the local community in positive way. Mostly our trekking guides, porters are from local community. Not only it will create jobs and promote the economic condition of locals, they are also the ones who knows their local place the best. We believe that we can create a world better place to travel and better place to live. Therefore we constantly follow the concept of eco tourism which states that “take nothing but pictures, leave nothing but footprints”. Our trekking and tour itineraries are prepared by the professionals that suit the majority of travelers in best way. However, we offer to modify and prepare tailor made our itinerary according to your need and requirements. After all it is your money, your holiday; we are only the travel partner bringing those itineraries into life. Mountain Tiger Nepal trekking company is also recommended on popular international reviewing website trip advisor. We are always available for your help and support. If you have any queries regarding any of our trips then contact is at your comfort. We will get back to you as soon as possible.